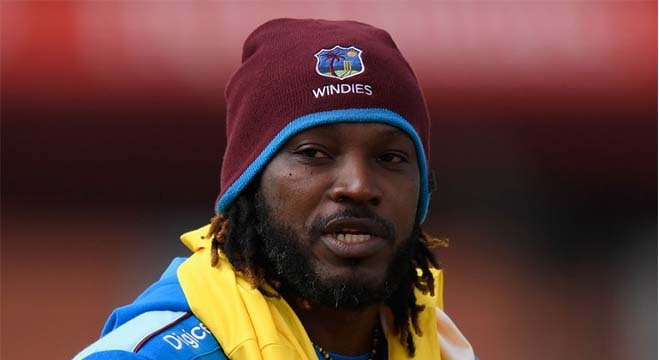 They called him the Universe Boss and no one can dispute that, as Christopher Henry Gayle just reminded the English cricketers just how much he is feared. 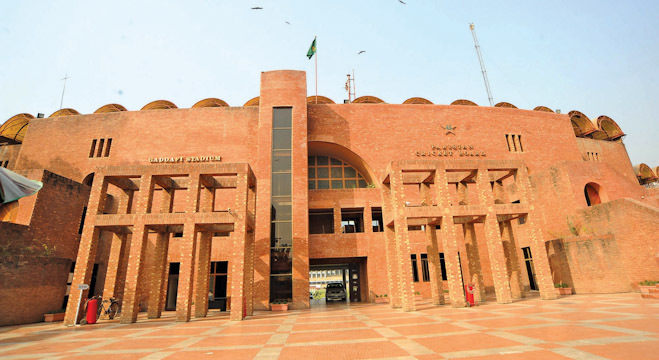 He has been likened to Sir Vivian Richards, as one of the most feared strikers of the ball ever to play the game. Richards and Gayle played in different eras, as just like Viv dominated his, Gayle has done the same today beating bowlers into submission. 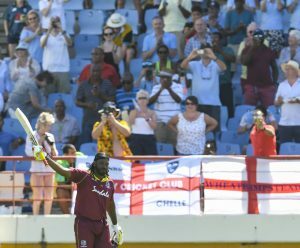 With news that he is going to retire at the end of the International Cricket Council (ICC) World Cup 2019, Gayle has paraded wherever Cricket West Indies (CWI) has put matches in the Caribbean this summer and has been signing off by pleasing fans. He is giving them one last great performance right in their backyards before he hopefully goes away with a bang at the World Cup. The 39-year-old has had some age-defying performances thus far in the Colonial One Day series. He blessed the eyes of Barbadian supporters with a breathtaking 135 in the first ODI that came off just 129 balls with three fours and 12 sixes. As if that was not enough he gave them a second dose on second ODI with an even 50 off 63 balls with a four and fours sixes. He then jumped on a plane and headed out to Grenada to say thanks to his fans there. The third game was washed out but the Almighty allowed time for the fourth and Gayle danced in St. George’s. He was presented with a flat surface and after England scored a massive 418 for five, the Windies were out of it. Well, Gayle kept them in it up until the 36th over, when he fell for a masterful 162. This required only 97 balls and he got there with the help of 11 fours and 14 sixes. It was during this innings, that the Jamaican would pass 300 sixes in ODIs and also 500 in International cricket. All in all, Gayle has now struck just over 1300 sixes in his career. He also went past 10,000 runs in ODIs, only the second West Indian to do that after the legendary Brian Lara. 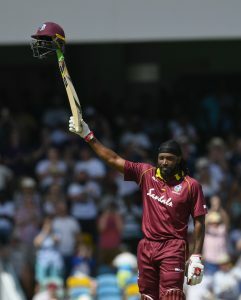 He raised his helmet with his bat, as his new trademark and all of Grenada was happy despite the fact that they Windies narrowly went down by 29 runs, chasing this gigantic England effort. As he walked through the George FL Airport in St. Lucia, he was accosted by an immigration officer who reminded him that he needed to give the people of St. Lucia ‘One for the road’. And what he did? A blistering 77 off 26 balls with five fours and nine sixes. He led the Windies to a seven-wicket victory and a share of the spoils in the Colonial series. Gayle scored 424 runs at an average of 106.0. He scored two centuries and two half-centuries in his four innings. His 424 runs came off 316 balls at a strike rate of 134.17. He clobbered 20 fours and a world record 39 sixes in the series. Along the way, he passed the previous best in a bilateral series of 23 sixes, struck by India’s Rohit Sharma. Gayle continues to be the flag bearer of Windies cricket in the shorter format and with the World Cup around the corner, he is sure to be on the minds of all opposition heading to England. 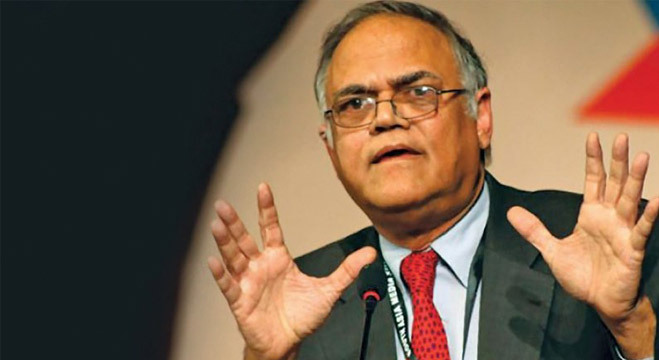 He has also shown with much bravado that favourites England is not ready for the Universe Boss. The called Crampy was born on September 21, 1979 and came from humble beginnings. He was good enough to captain the West Indies’ Test side from 2007 to 2010. Considered as the greatest batsmen ever in Twenty20 (T20) cricket, Gayle has set numerous records across all three formats of cricket. He is widely acknowledged as one of the most destructive batsmen in the history of the game, particularly in Twenty20. He is well known for hitting sixes; in 2012 he became the first player to hit a six off the first ball of a Test match. He holds the record for hitting the most sixes (515) in international cricket. He is one of only four players who has scored two triple centuries at Test level: 317 against South Africa in 2005, and 333 against Sri Lanka in 2010. Gayle became the first batsman in World Cup history to score a double century when he reached 200 off 138 balls against Zimbabwe during the 2015 World Cup. First batsman to score a century in each of international cricket’s three formats of the game. First (and so far only) batsman to score a triple century in Test cricket, double century in ODI cricket and a century in T20 internationals. Gayle is the only player to score centuries in ICC U19 World Cup, ICC World Twenty20, ICC Cricket World Cup, ICC Champions Trophy as well as in ICC Cricket World Cup Qualifier. First player to hit the first ball of a Test match for six. First player to hit all 6 balls in an over for four in Test cricket. First West Indian to hit a double century in ODIs as well as in World Cup history. In World Cup 2015, he hit the fastest ever ODI double century, against Zimbabwe, off 138 balls. Along with Marlon Samuels, he holds the record for the highest ever ODI stand for any wicket (372 runs for 2nd wicket) and also it is the highest ever stand in for any wicket in World Cup history. Third batsman to score a century against eleven different countries in ODIs. First batsman to score a T20I century, in the 2007 World T20. He’s also the only batsman to score two World T20 tons. First batsman (now equaled) to score a T20I century in both winning and losing cause. First batsman (also equaled) score a T20I century when batting first as well as when batting second. First international player to carry his bat through a completed innings Twenty20 International. He is also the only player to carry his bat in both Tests and T20Is. Second West Indies player (after Brian Lara), and 14th overall, to pass 10,000 runs in ODI. Fastest ODI fifty by West Indies batsmen. (50 runs in 19 balls). Most sixes (39) in a bilateral ODI series (4 Innings vs England ). In list of top 10 fastest ODI fifties made vs England for West Indies Cricket Board. Second fastest century by a West Indies batsmen (55 balls) in ODI. At 39 years & 162 days, he is the second oldest to win a Man of the Series award in ODI. Most sixes by a player against an opponent (84 sixes in 35 ODIs against England). He finished on 215 runs, which was the record for highest score in a World Cup until it was broken by Martin Guptill against Gayle’s own team. He is one of the six players to score a double century in ODIs. 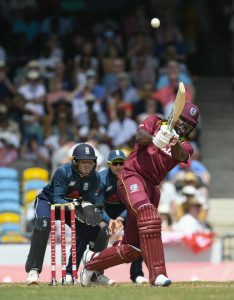 In March 2016, Gayle became only the second player (after Brendon McCullum) to hit two Twenty20 International hundreds, scoring 100 not out against England.